Instagram is my favourite social media platform. 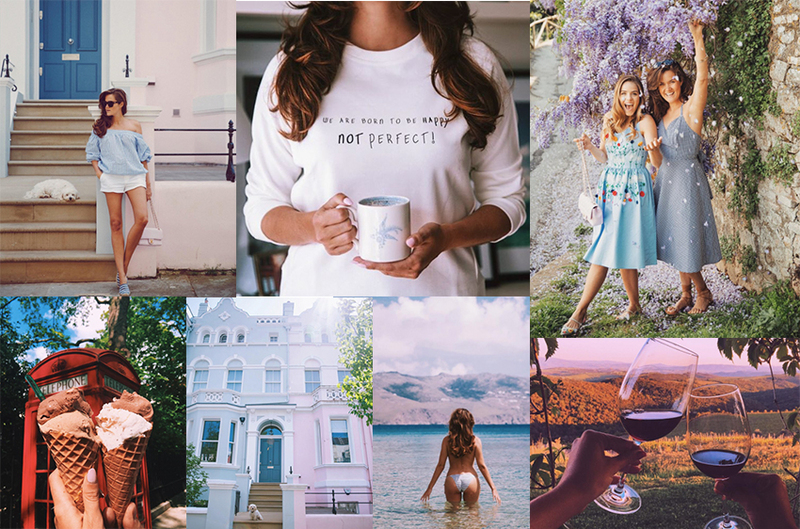 So Im sharing with you my favourite UK Instagram accounts. Anna Maria was one of the first Instagram accounts I followed. 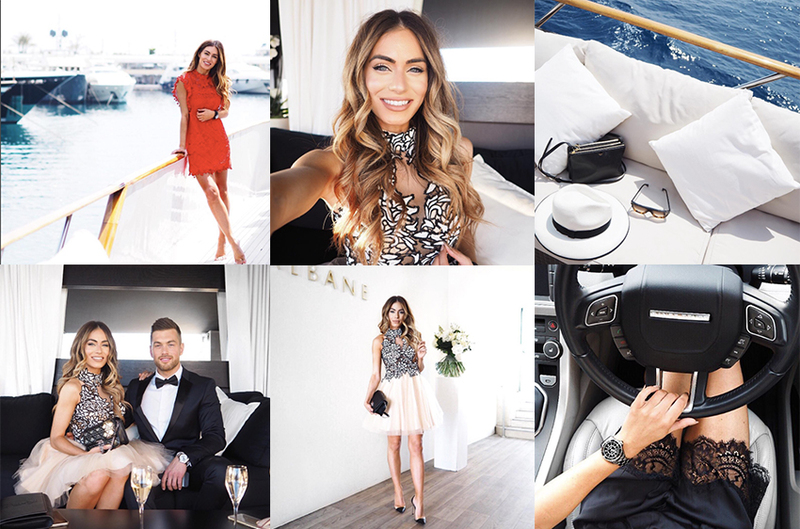 Her stylish date outfits are always a huge inspiration, her cute relationship and luxurious spa or hotel nights will leave you very envious – but so worth the follow. 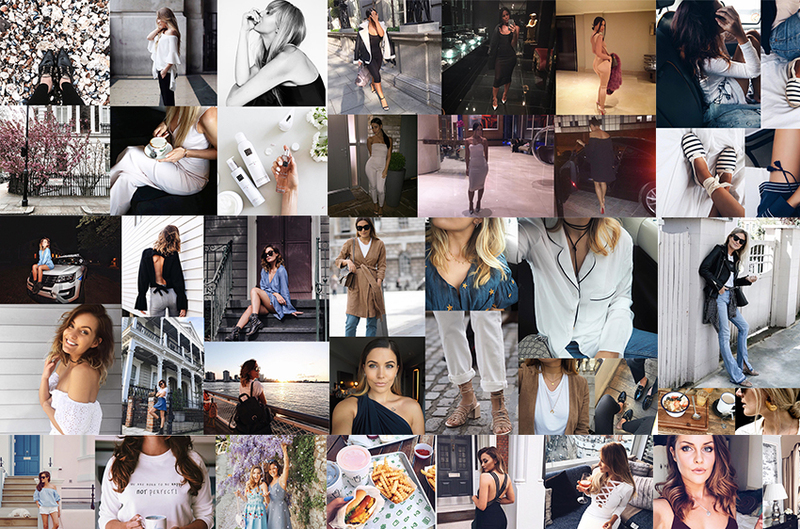 One of the first bloggers I followed on Bloglovin’. 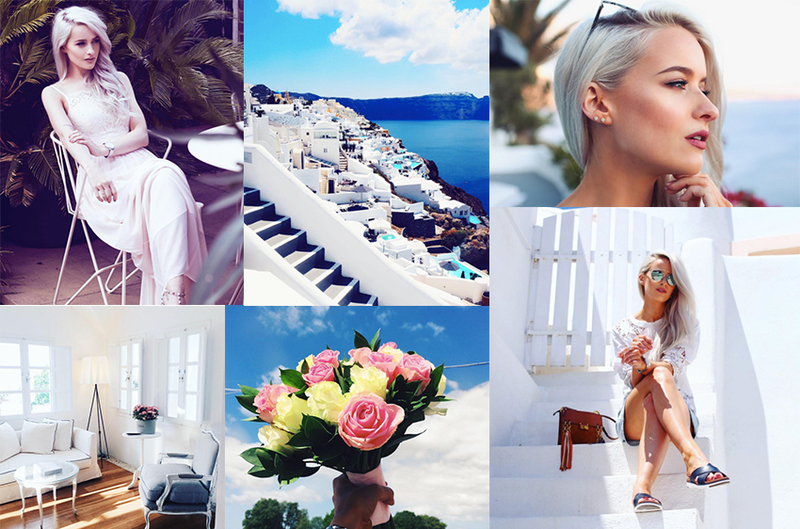 Expect amazing photography on her Instagram, with travel and outfits. You can see the amount of effort she puts into her Instagram instantly. 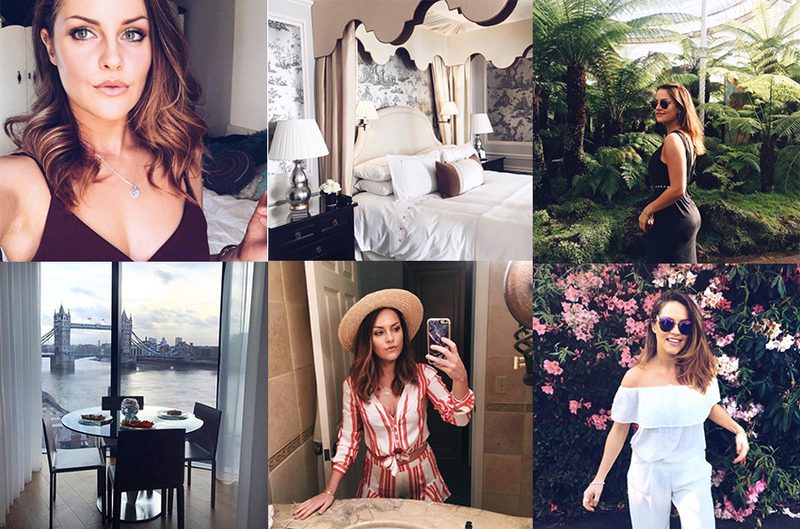 Hannah is one of my favourite blogger pals, I attended my first ever fashion week season with her and she has quickly become a big deal on Instagram winning RS top 10 internal blogger. Expect colour with Victoria. 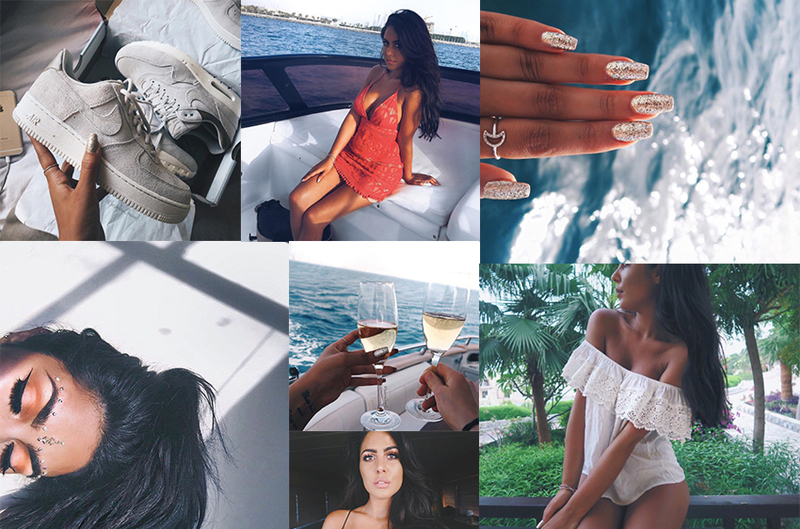 Her Instagram oozes Summer time and good vibes, with a lot of beauty. 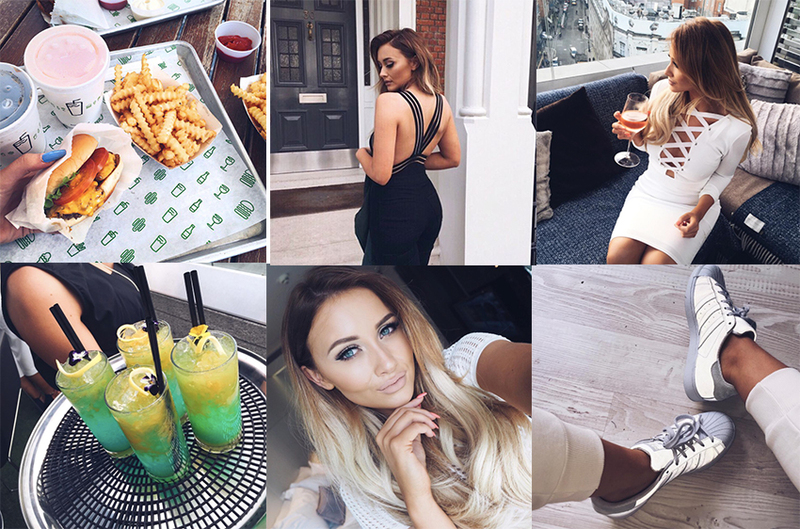 Amy has her Insta filters down to a T, as well as that perfect selfie pose. 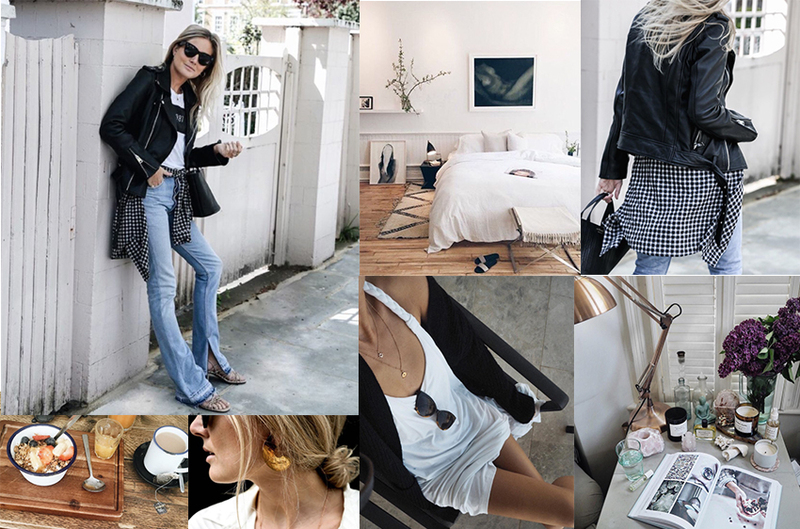 Her style is relatable and she loves highstreet too. What I love most about Lorna’s Instagram is that she uploads a lot of detail shots. You can also expect the same outfit a few times, which is nice if its one you really liked. I go to Lucy for monotone inspiration. She works so well with black and white. And her outfits are always so on trend. Lydia’s Instagram literally has it all. From fitness, food, a hunky boyfriend, good fashion and travel. She blogs and Youtube’s so her feed is updated daily. Megan is the ultimate babe. She can rock any trend thrown at her it seems. 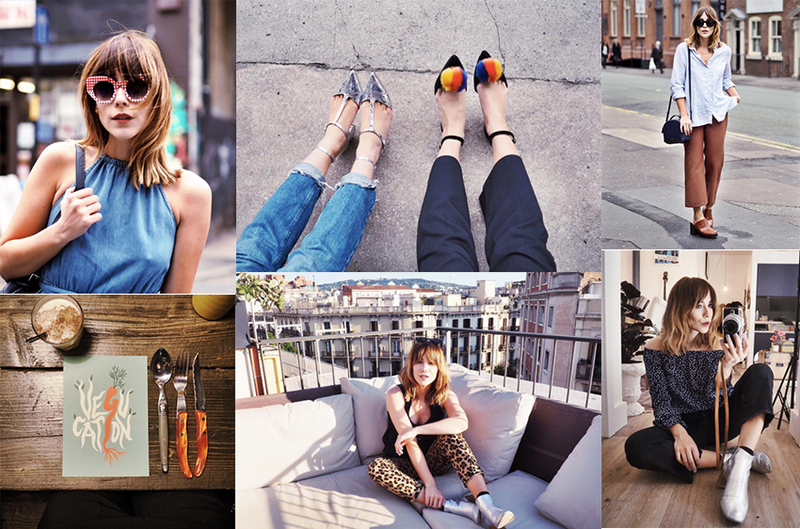 Expect fun poses, sparkly shoes and the best ‘bangs’ since Alexa Chung. I came across Bee from her amazing You Tube channel. Her outfits are always inspirational. She mixes highstreet with designer. 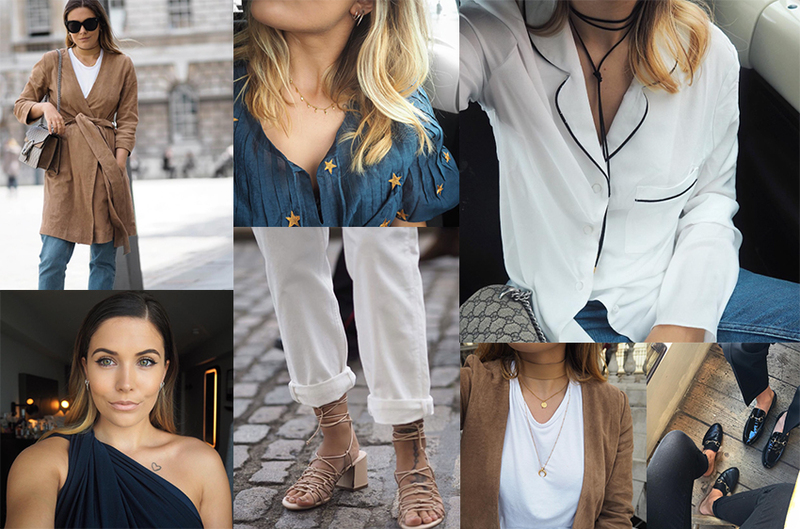 The ultimate Londoner blogger babe. Her travel inspires me to keep booking places to visit. She will leave you lusting over every place she visits I promise. She’s also amazing with puns. Who doesn’t follow Sarah. She’s the UK version of Fanny Lyckman to me. 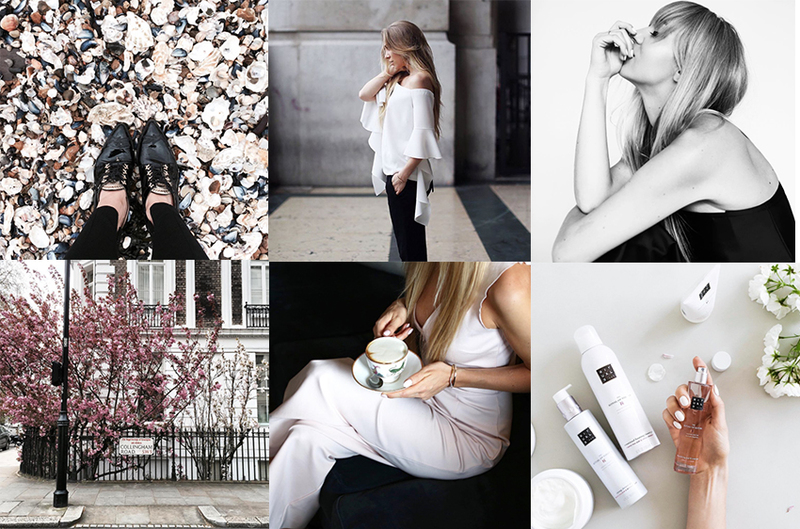 Cocktails, cool places to eat in london, nail and fashion inspiration from this account. Kate’s Instagram is blowing up. She has her filters and poses down to a T. Expect designer outfits and gorgeous hair. Eyeliner queen. Selfie queen. She will have you wanting to scrub your make up off and start again. And don’t get me started on that tan. Lust worthy. Sandra, again one of the first bloggers I followed. 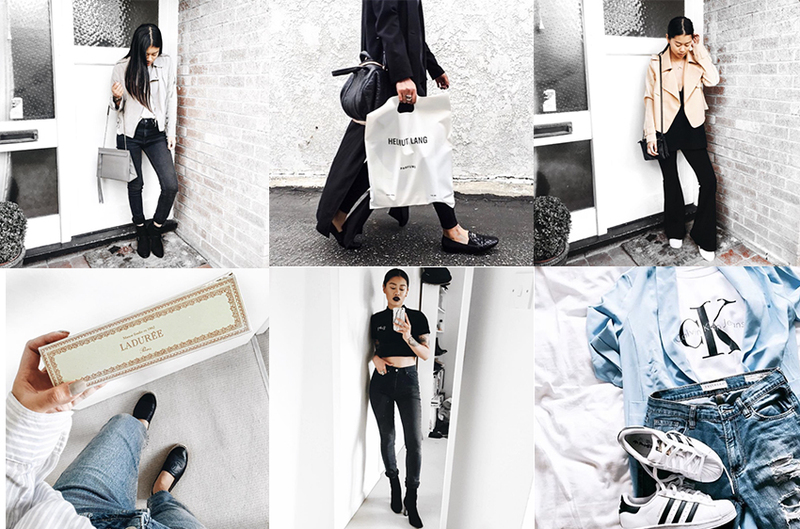 Her account is filled with elegant, classy and perfectly edited images.